Home The Mrs Jones Column Happy New Year from us! I can’t believe 2018 is upon us already. 2017 was, for us, very busy but we did manage to achieve a lot. We finished our extension and built my parents an annex. Niamh started nursery, Willow was a star in the nativity and I returned to work. Let alone Mr Jones’s continued progression of the businesses. Needless to say we were all exhausted but really excited for a wonderful family Christmas. I managed to cook a fabulous Turkey from Herefordshire Meats for Christmas day and despite a little whoopsie with my Christmas pudding the day was saved by my Christmas cake and plenty of free flowing wine and gin! The girls adored Christmas with all the sparkles and baubles all over the place. We also went with all of the Jones family to see the Pantomime, Sleeping beauty, at the Courtyard and it was the first time for Willow. She adored it! (Oh no she didn’t – Oh yes she did!) I also had a fabulous time. Such a great place for little ones right on our doorstep. However, she has now asked for Melodies pink dress for her birthday party so no small task for me then in the coming months. 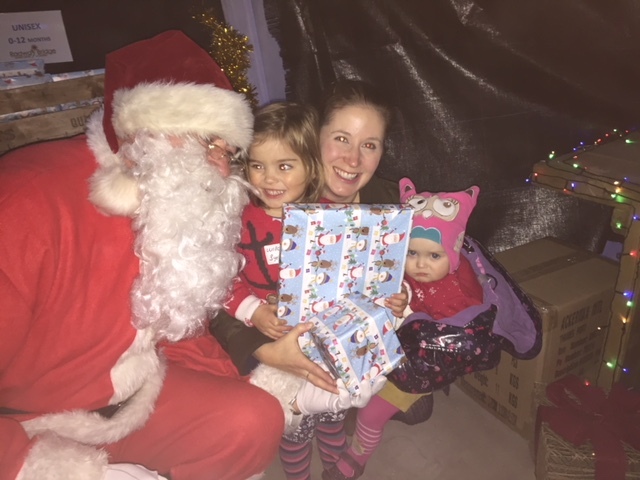 We also went to our firm favourite Newbridge to see the Reindeers and visited Radway garden centre to see Father Christmas. Willow was in awe, Niamh was less than impressed. 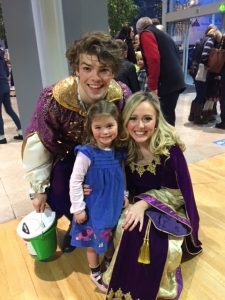 December also started off quite badly as the girls all had a very nasty bug which landed Niamh in the children ward at the county hospital. As always the staff were amazing (they know us from Willow’s frequent visits) and our stay was short. I am always thankful for having such a great hospital and amazing staff so nearby. So onto 2018, Willow goes to school, Niamh goes up a couple of days at Nursery (who are amazing – Beech House nursery shout out), plus lots of adventures for our little family. For now though, from mine to yours we wish you a wonderful, safe and healthy 2018 filled with love and happiness and I shall try and keep you posted more about our adventures throughout the year. 2018, Christmas, Father Christmas, happy new year, hereford courtyard, pantomine, sleeping beauty. Bookmark.